continuing with my Easter cards I have made for this year. Can you believe Easter is April 1st? Seems so very early this year! I have two cards today. 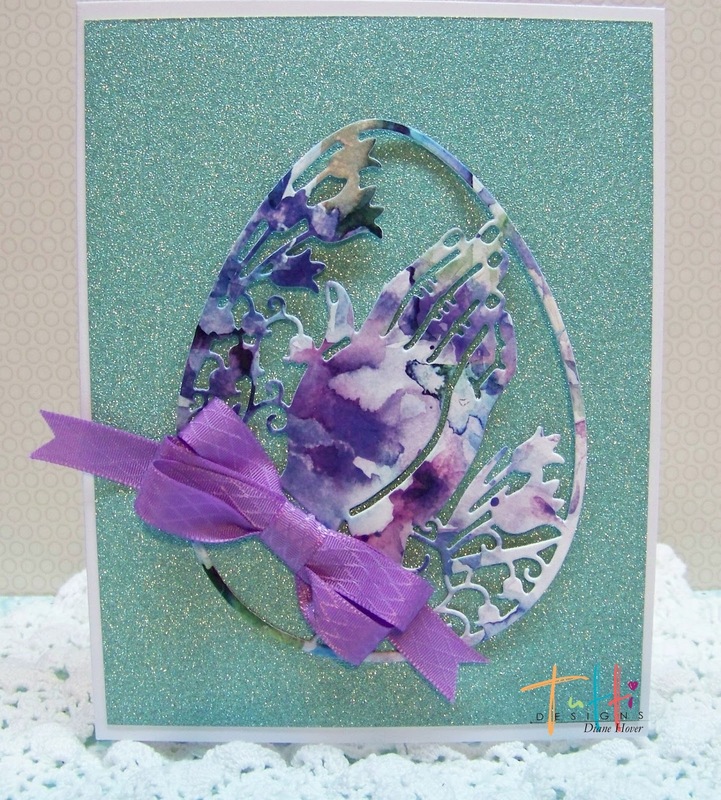 The first card is using Tutti Designs Praying Hands Egg. giving off a major amount of sparkle! and I added a pretty bow to finish. The second card uses Tutti Designs Cross In The Vine die. I added a piece of vellum on top. a solid paper and paper pieced it in. 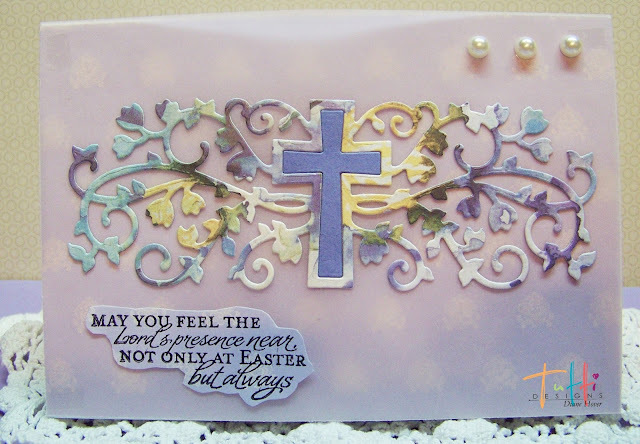 A sentiment and pearls were added to finish! Make sure to visit us daily for more fabulous inspiration for using these dies! Lovely cards, Diane! The multi color die cut pieces look amazing. I rarely use patterned paper when using a die cut, but will need to try it more often! These are both just GORGEOUS Diane! So different one from the other but both are so beautiful! Awesome inspiration!